Flanery will play Ty, the young brother of Sara Garrett (Mary Beth Evans), who's been left out of the family fortune. A man with no filter, expect Ty to voice his opinion on this and other issues he faces this season. Flanery is best known for his motion picture roles in classics such as The Boondocks Saints and Powder. He also played recurring roles in the hit primetime series Dexter and The Dead Zone, in addition to a slew of other primetime episodic guest appearances. Daytime fans may remember Flanery for his role as Sam Gibson on CBS's The Young and the Restless. "I've heard so many wonderful things about Sean that when he was brought to me to play the part of Ty Garrett on the show, I knew he was the perfect fit," stated The Bay creator, writer, and director Gregori J. Martin. "I'm excited to see this stellar actor bring the character of Ty Garrett to life." Fox will appear as Dr. Angela Foster, a tough as nails psychiatrist at Bay University Hospital who helps walk a fan fave Bay City resident off the ledge. Vivica recently played Candace on FOX-TV's Empire and is known for her roles in blockbuster hits such as Independence Day and Kill Bill: Volumes 1 & 2. Her soap opera credits include The Young and the Restless (as Stephanie Simmons), Days of our Lives (as Carmen Silva) and Generations, where her Maya Reubens was part of one of the greatest catfights in television history opposite Jonelle Allen's Doreen Jackson. 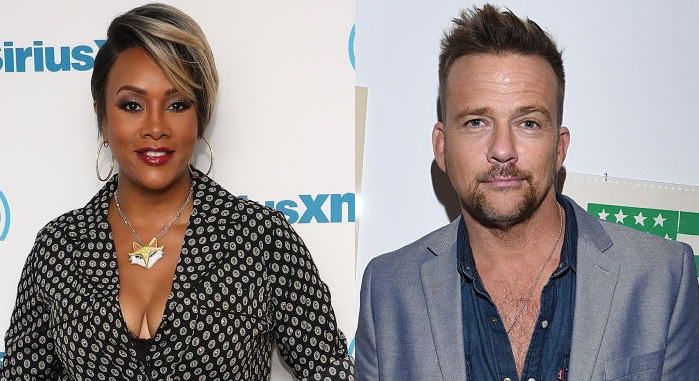 "Vivica and I have crossed paths on several projects, but I've yet to have the opportunity to work with her on a director-to-actor capacity,” Martin noted. “She's such a talented actress and I'm very much looking forward to this. I've been a fan of her work for years."